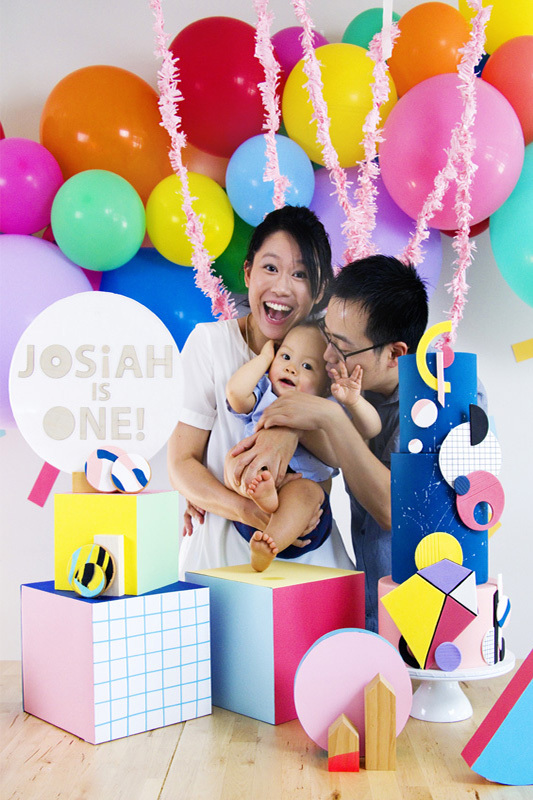 Josiah’s Mum Amanda knew early on that she wanted to create something truly unique and memorable for her son’s first birthday. 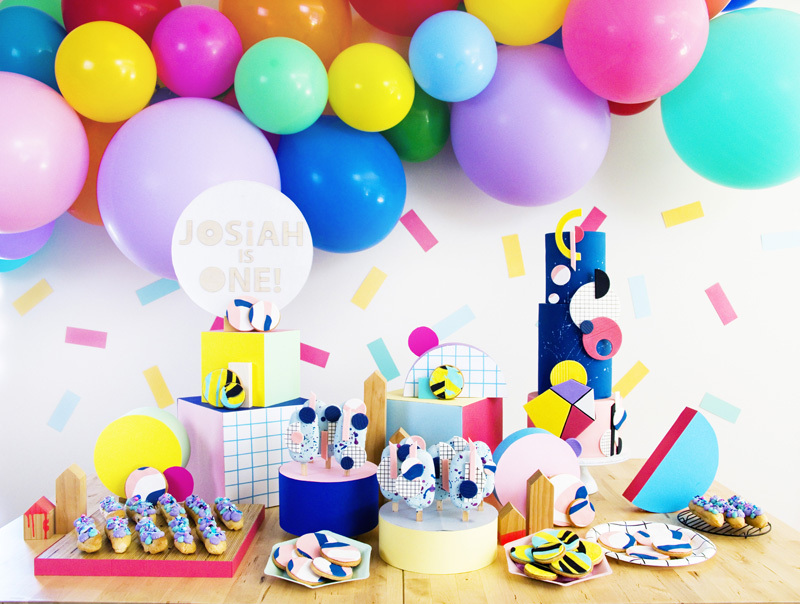 The theme of this special party was ‘urban technicolour playground’ – a strong and edgy stylistic vibe that would “wow” the mostly adult guests, while still maintaining the playfulness of a kid’s birthday celebration. 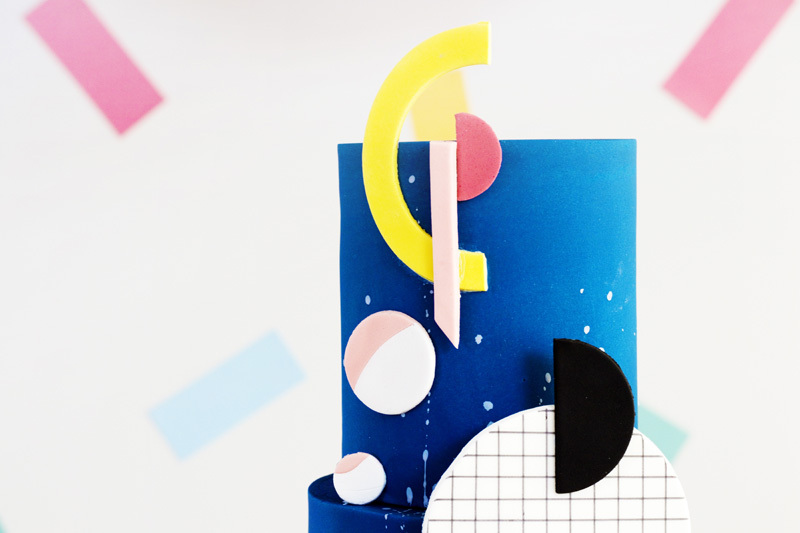 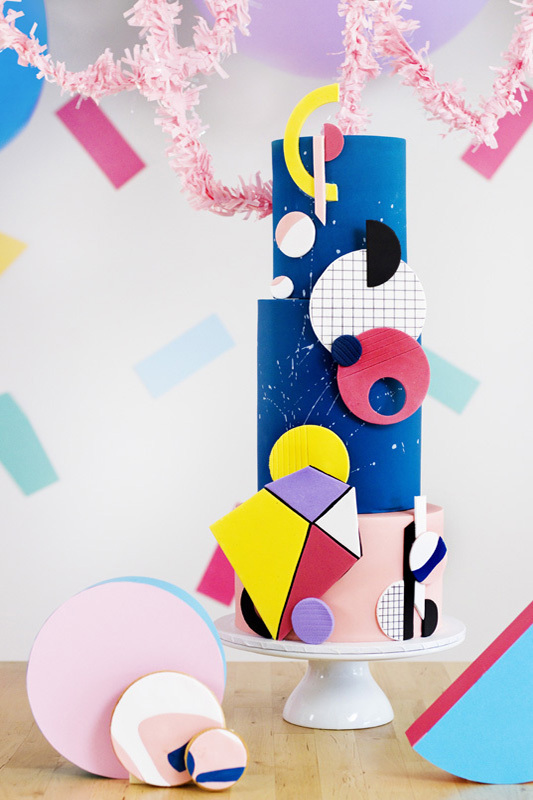 Amanda, who runs Sugar Sugar Cake School, an online cake school for modern bakers, is always inspired by eye-catching abstract artwork. 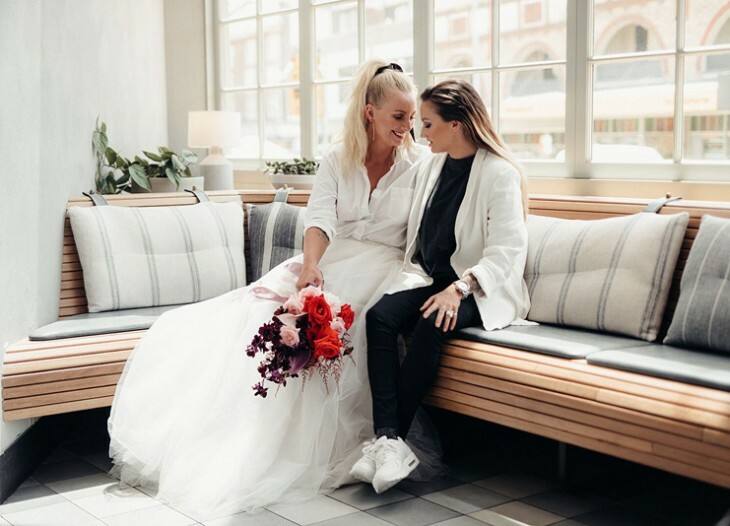 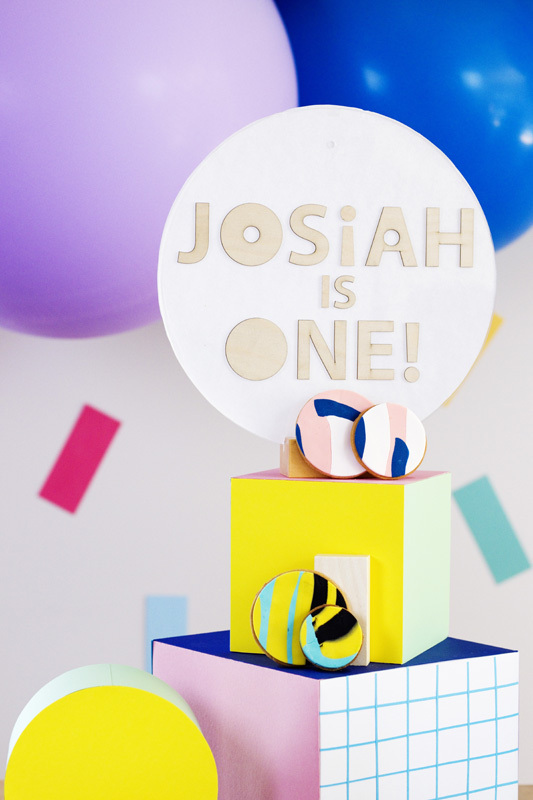 For Josiah’s soiree, she drew inspiration from the whimsical and rainbow-filled work of Beci Orpin. 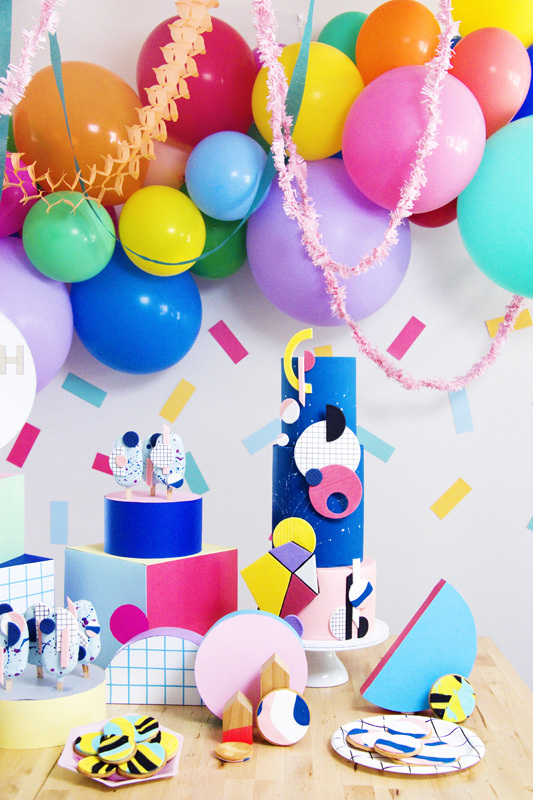 ‘I implemented strong hues paired with sweet pastels, geo shapes and bright motifs,’ says Amanda. 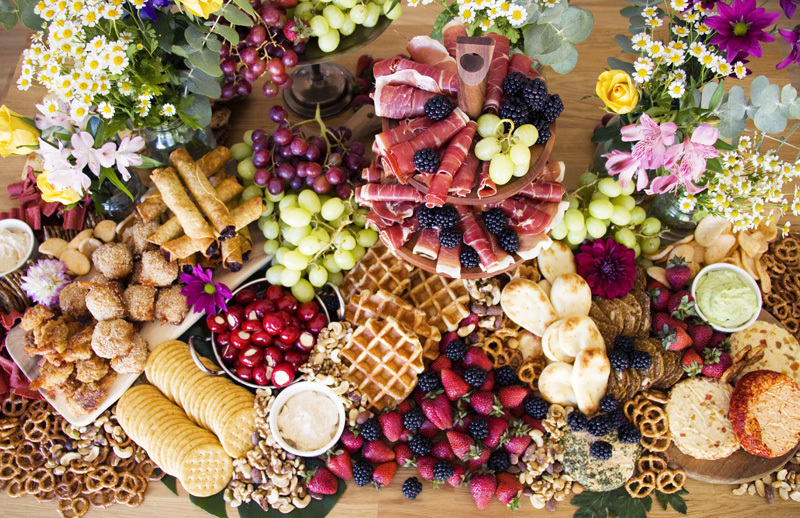 The at-home event was set during afternoon tea, so guests were treated to a lush grazing table of cheeses, cold meats, crackers, fruit and nibbles in addition to the feature centrepiece, the dessert buffet. 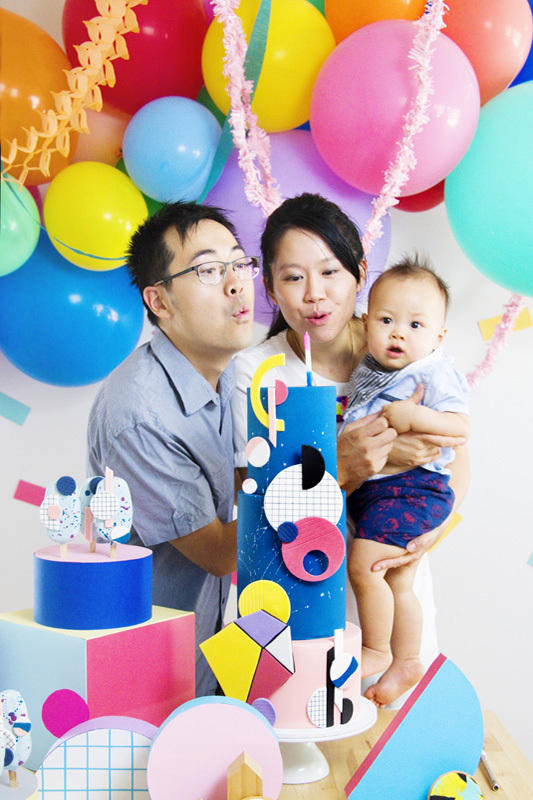 Amanda says that when planning a soiree for young kids or babies, don’t be afraid to do it at an unconventional time. 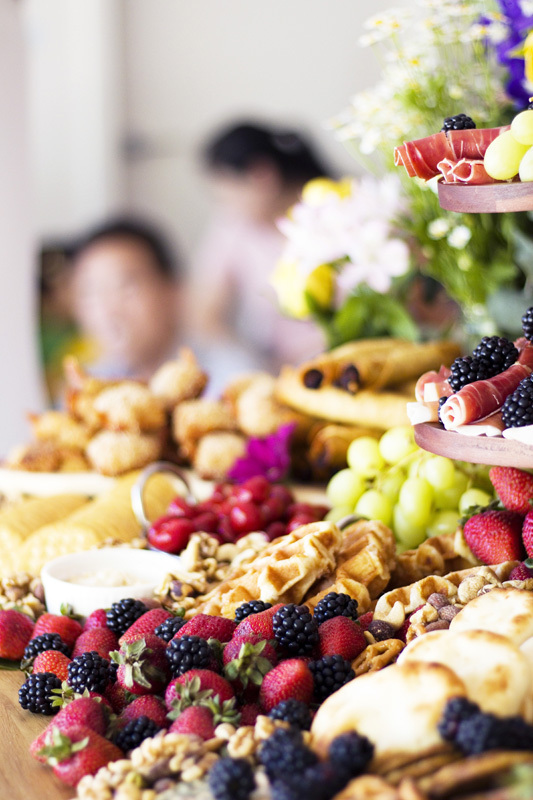 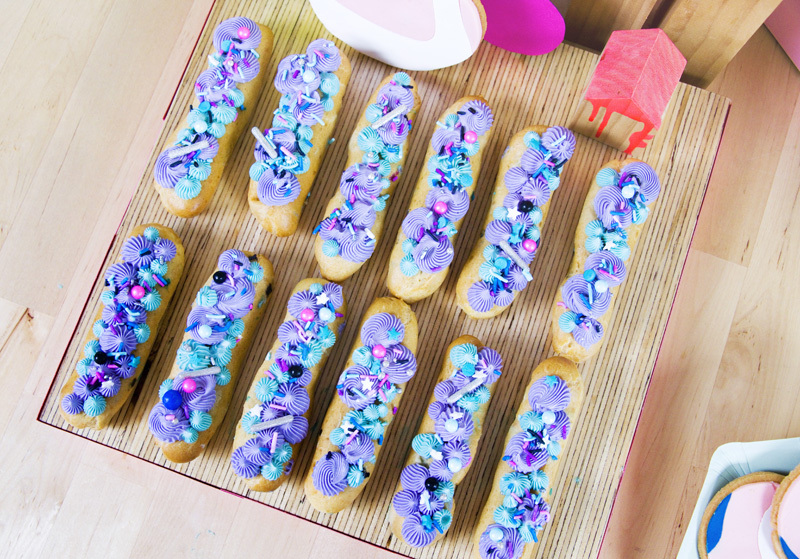 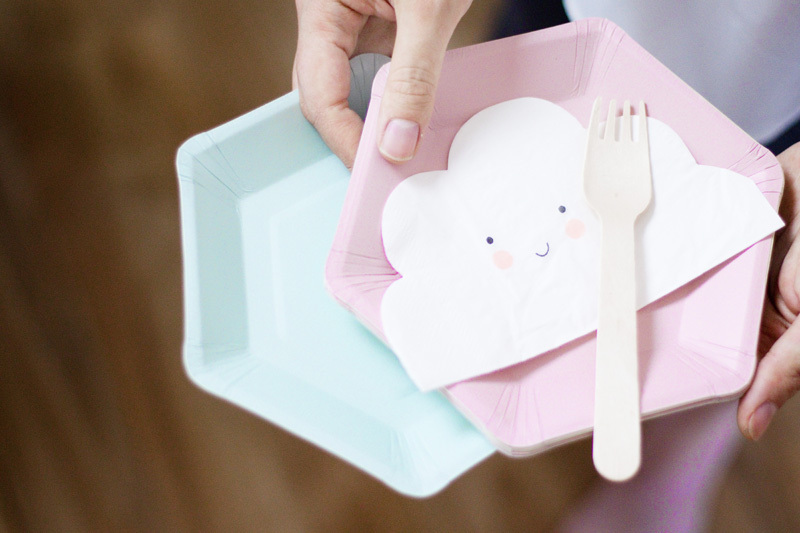 ‘We strategically planned an afternoon tea event as it sat just after the babies’ afternoon nap time allowed us to prepare a lighter catering menu,’ says Amanda. 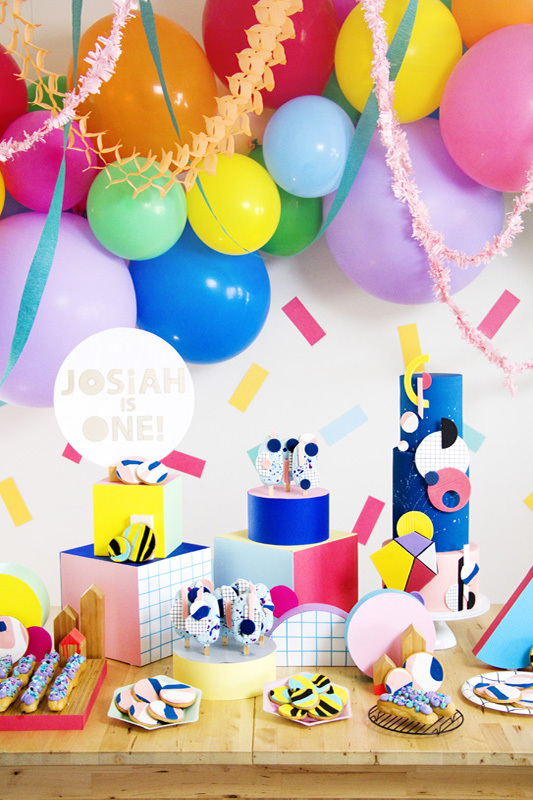 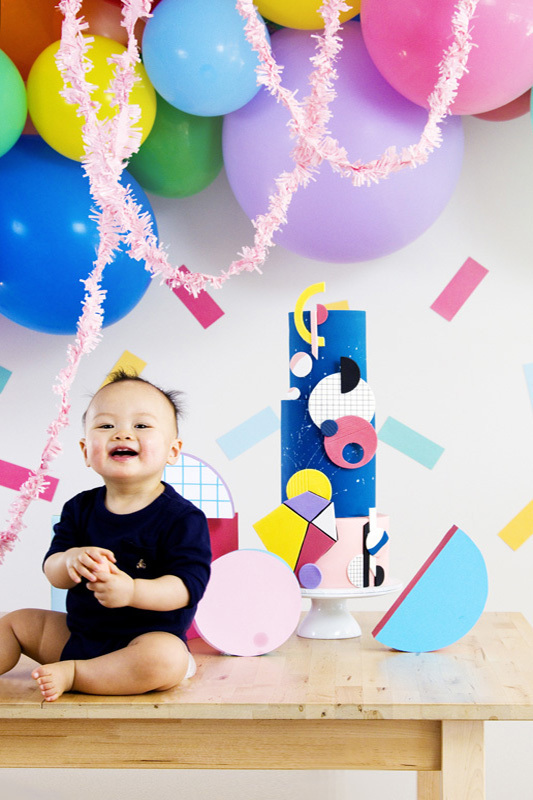 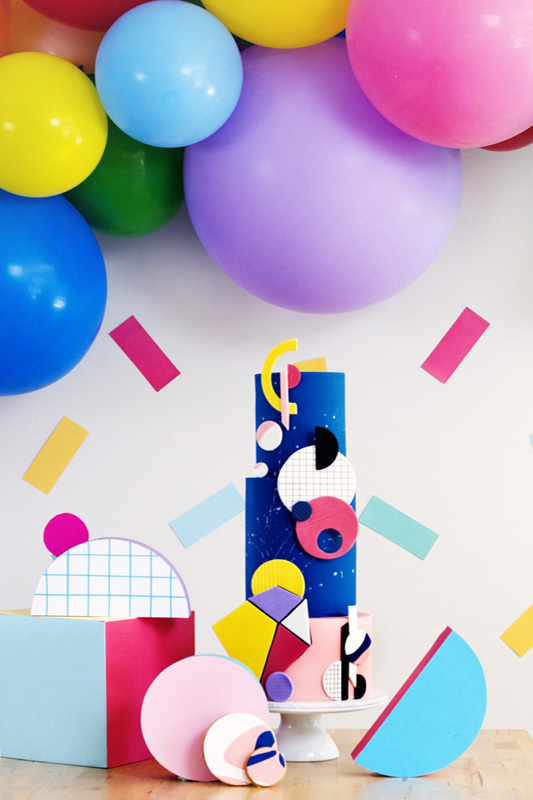 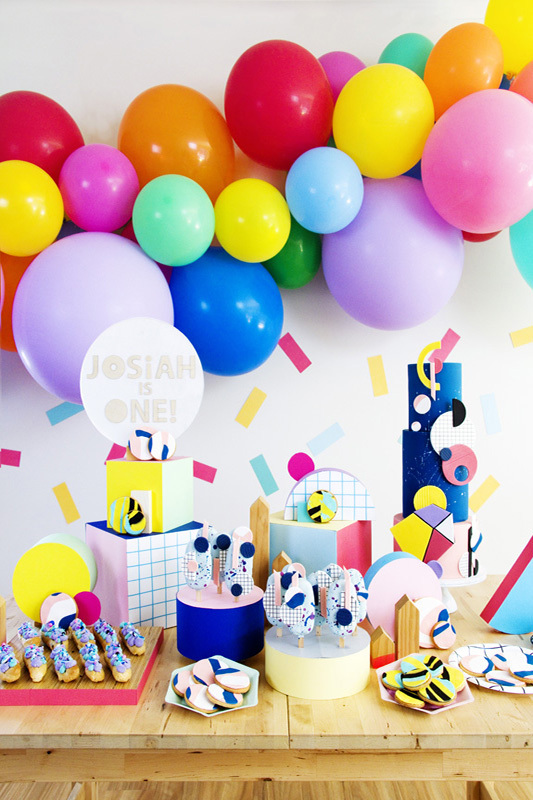 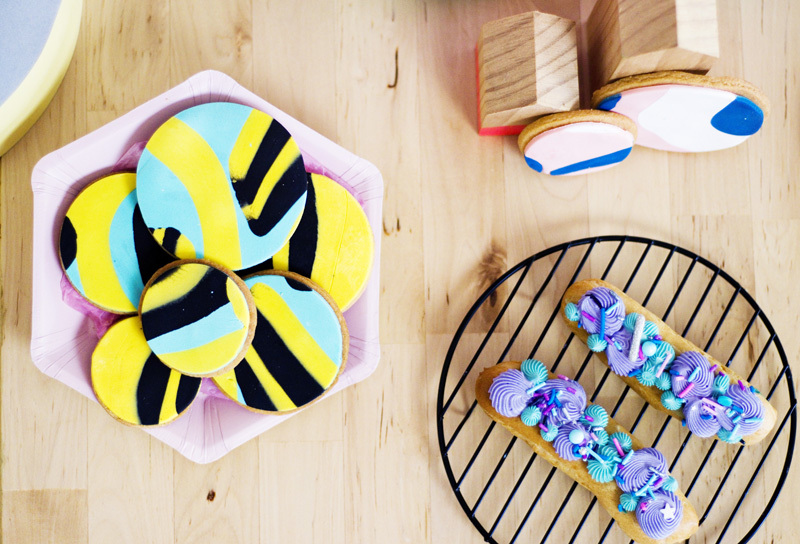 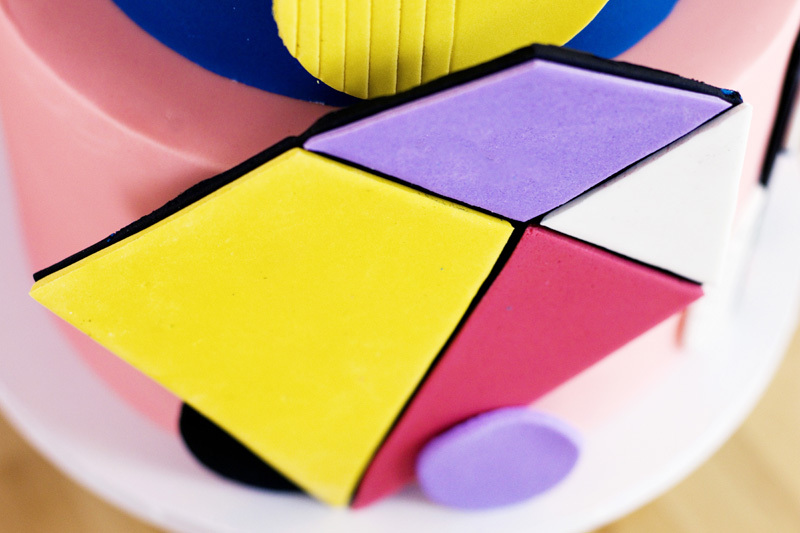 Get inspired by all the colour and fun that is Josiah’s first birthday party! 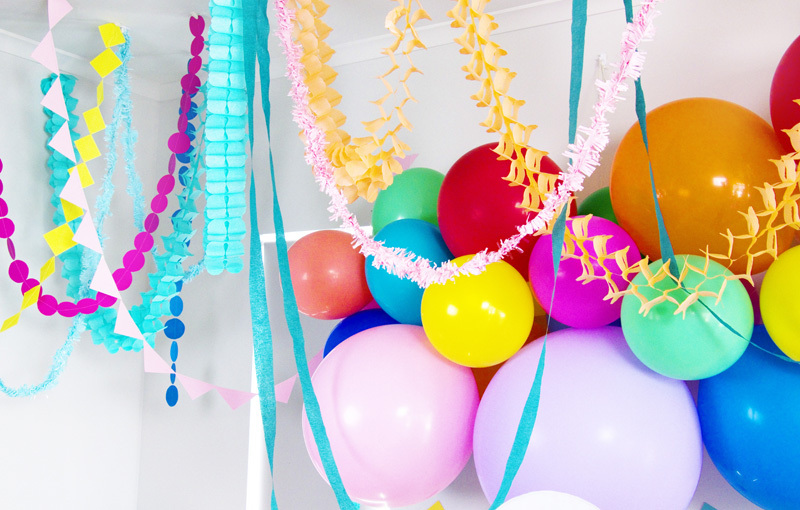 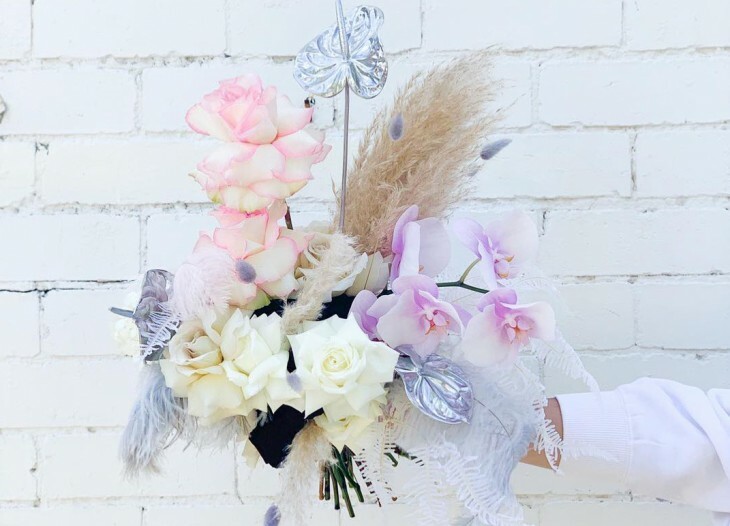 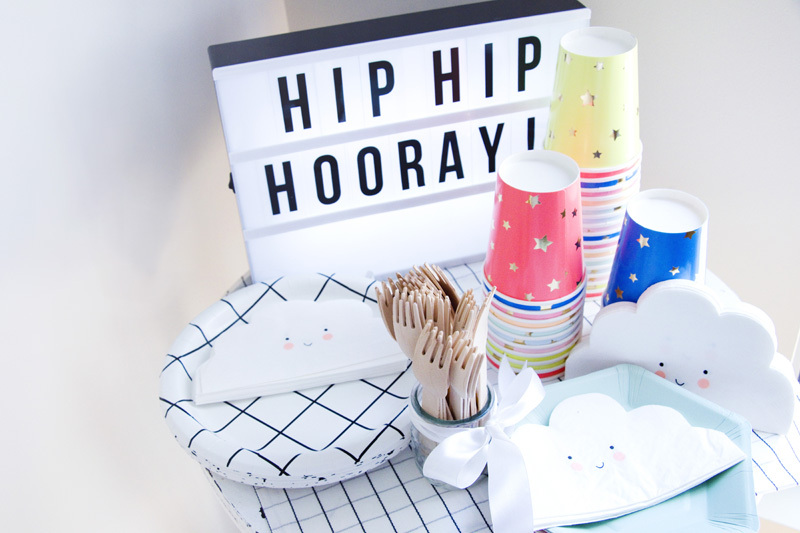 Check out some of our absolute fave party suppliers in our handpicked vendor guide!